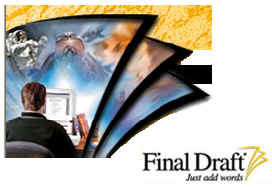 Final Draft screenplay software is the leading screenplay program and is used worldwide by professional film and TV writers to create such Oscar(r)-winning hits as American Beauty and The Usual Suspects. Final Draft is endorsed by industry talents such as Oliver Stone (JFK, Any Given Sunday), James L. Brooks (As Good As It Gets, Jerry Maguire), Tom Hanks (That Thing You Do, Cast Away) and Michael Bay (Pearl Harbor, Armageddon). Media Services now carries the Cinergy 2000 MPPS in their product line. In addition to selling Cinergy 2000, periodic demonstrations are held at their offices in Los Angeles, New York, Toronto and Orlando. Attendees at ShowBiz Expo in Los Angeles and New York saw Mindstar's Cinergy MPPS running on the space-age Xybernaut® Mobile Assistant IV. Its head-mounted display and wrist keyboard are an excellent extension for the Cinergy MPPS system. The lightweight Pentium 133 computer fits on your belt or a special vest, and the bright, clear display in the eyepiece provides portable computing unbeatable for on-set operations. Cinergy and the Xybernaut® MA-IV were also recently seen on the lot of Paramount Pictures where they were frequently mistaken for props! One look in the eyepiece proved that it was, indeed, a fully functional system! An entertainment industry talent placement service with 5,000 students worldwide who train on-site at major film studios, video production companies, radio and TV stations, recording studios and record labels. Copyright 1996-2004 Mindstar Productions, All Rights Reserved.